I received this to try for free in exchange for an honest, unbiased product review. All opinions expressed are truly my own. The Got Me Tipsy Company has a lot of great gifts and wonderful glassware, and this particular mug is no exception. From the moment I opened the box, I knew it would be a high quality mug. It is made of thick glass, very durable and has a nice weight to it. It is a generous 13 ounce size and is the perfect mug for a cup of coffee. The lettering on the mug is well done and is guaranteed to last. One of my favorite things about this mug is that it is clear and when filled with coffee or tea the lettering stands out very nicely. It is also dishwasher safe. This would make the perfect gift for Father's Day. Present it to your dad while your siblings look on, and it is sure to get a few remarks and a good laugh! 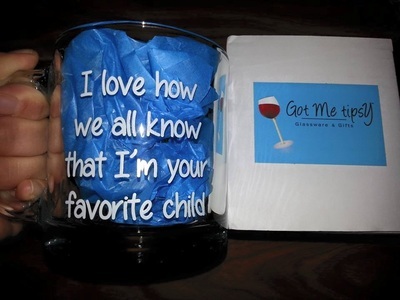 Also a great gift from one of your own children to give to their dad. It would be great for Mom or Dad on their birthday, too. Almost any special occasion would be the perfect opportunity to give this to a parent. Got Me Tipsy has quickly become one of my favorite companies for gifts. This mug is very well made, strong and durable, and is sure to last. Be sure to check it out on Amazon. MAKE A STATEMENT - Let's face it, everyone knows you're the favorite child. This is simply a nice little reminder. Watch your siblings turn red as you give your Mom or Dad their new favorite mug. The best part is, this glass mug is unique from all of the others, so it will always stand out and become a favorite mug for years to come. A GIFT THEY'LL LOVE - Imagine the look on their face when they open the gift box and find their new favorite coffee mug. They'll know you put in the extra effort to find something WAY better than a typical cheap ceramic mug. 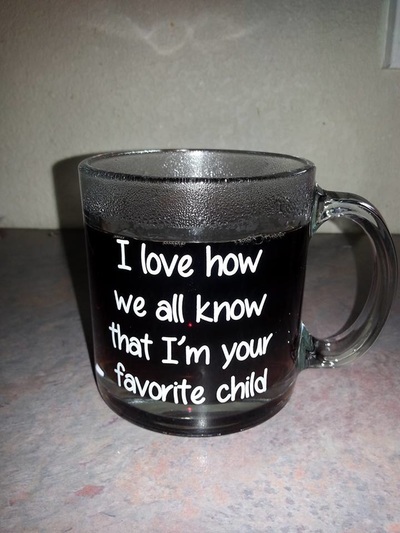 This mug is a perfect gift for both mom and dad. HIGH QUALITY - This generously sized 13 ounce glass mug is made in the USA. The custom imprinted text is dishwasher safe and guaranteed to last. The unique & funny text is bright white and can be seen from afar. SPECIAL OCCASIONS - This clear glass mug is a cool gift idea for a coffee or tea lover. 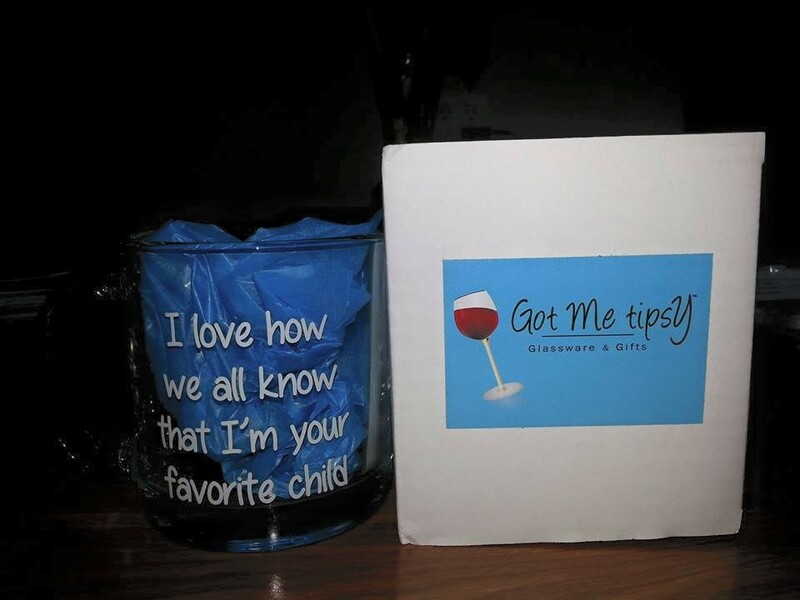 It's one of the best funny Fathers Day gifts for Dad from a son or daughter. It makes a great present idea for him or her on their birthday. Parents appreciate their kids' sense of humor! A sarcasm infused gag gift for your stepmom, stepdad or in-laws.